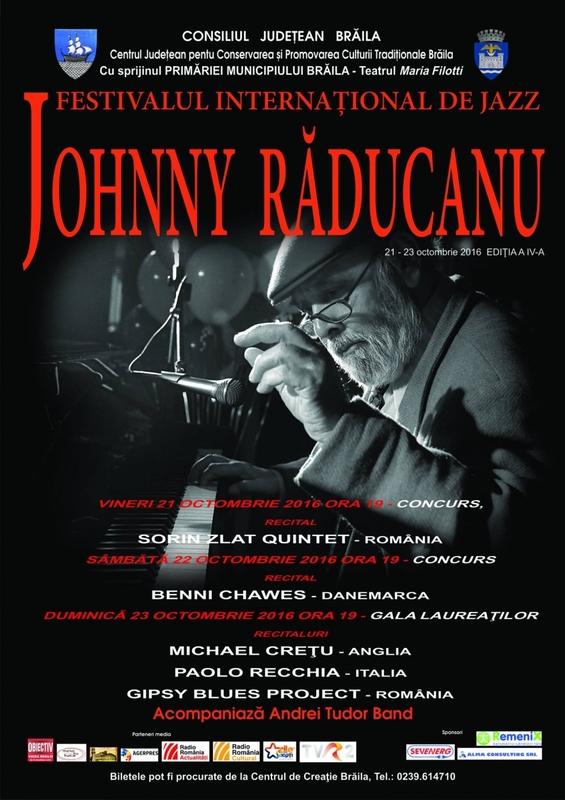 Due to the large number of requests received by Braila County Center for the Conservation and Promotion of Traditional Culture as regarding the change of the registration’s deadline for Johnny Raducanu International Jazz Festival, 2018 edition, made the Organizer announce the extension of the registration period for the potential competitors with another week. Thus, Braila County Center for the Conservation and Promotion of Traditional Culture announces September 28, 2018 as being the new deadline for the registration in the contest of Johnny Răducanu International Jazz Festival, 2018 edition. Here you can watch Sunday, October 23, 2016, from 19:00, International Jazz Festival “Johnny Raducanu” awards.